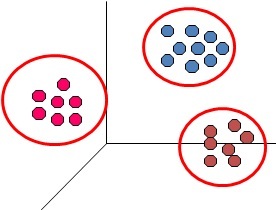 It is a technique of Unsupervised Learning in which objects (observations) similiar to each other but distinct from other are marked in a group or Cluster. Cluster analysis is also called classification analysis. In other words Cluster analysis means dividing the whole population into groups which are distinct among themselves but similar within. Cluster Analysis can be done by two methods : 1. Hierarchical Clustering and K-Means Clustering.